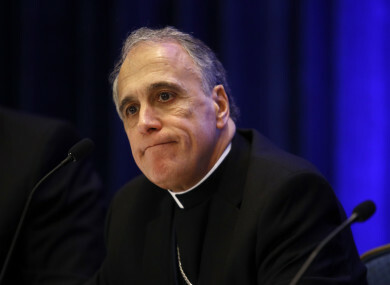 Cardinal Daniel DiNardo says he hopes it will 'offer healing and hope to those who have suffered'. CATHOLIC OFFICIALS IN the US state of Texas have released the names of approximately 300 clergy who have been accused of sexual abuse dating back 70 years. The revelations — which came on the same day that a law firm said that more than 80 priests sexually abused minors in a California diocese over a period of decades — are just the latest in a clergy abuse crisis that has rocked the Catholic Church. Most of the Texas priests were dead, had been removed from the clergy, or both, according to the state’s dioceses. “The Bishops of Texas have decided to release the names of these priests at this time because it is right and just and to offer healing and hope to those who have suffered,” Cardinal Daniel DiNardo of the Galveston-Houston diocese said in a statement. The 15 dioceses of the sprawling Lone Star state had promised in October to release names of clergy “credibly accused” of sexually abusing minors. The Survivors Network of those Abused by Priests (SNAP) applauded the move but urged law enforcement to conduct independent investigations. “The only way to ensure that the bishops here in Texas are truly sincere about rebuilding their sacred trust is to allow for independent, properly trained experts in law enforcement to review all the files,” SNAP said in a statement. The Catholic Church has been hit by revelations that abuse was covered up in countries around the world. Email “Catholic diocese in Texas publishes list of 300 priests accused of sexual abuse”. Feedback on “Catholic diocese in Texas publishes list of 300 priests accused of sexual abuse”.